Nine out of 10 owners said plug-in vehicles represent their primary ride — though almost all had a second, conventional car, according to a survey with more than 1,400 respondents released this month. Monthly mileage averaged about 800 — the equivalent of almost 10,000 miles a year. These are not hybrids, but the plug-into your garage kind. Pretty awesome…I keep dreaming about the day I will own one! Note these specs are the most hotly contested in the industry. The price is based on MSRP excluding tax credits and all those crazy option packages (for Tesla you can get the base model for $50k and the same car with options for $100k). Battery power and range are based on EPA estimates (though, those vary a lot too). These two cars are marketed as Electric Vehicles (EV) even though they have a gas engine. 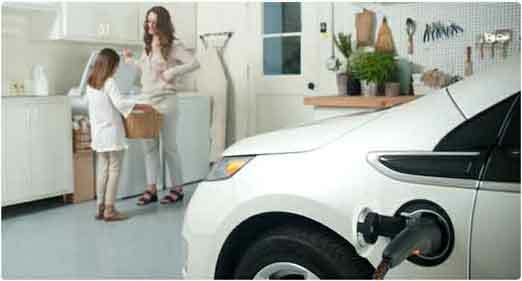 What separates them from other hybrids is a larger battery pack that requires a charge (plug-in) to function. Transportation, not electricity, is the source of oil’s importance: since the 1970s, the U.S. has weaned its power sector off of oil. Today only one percent of U.S. electricity is generated from oil and only one percent of U.S. oil demand is due to electricity generation. Thus expansion of electricity generation from solar, wind, nuclear, and other power sources will not serve to displace oil in any perceptible manner. Plug in an electric vehicle today and 99% of the electricity its battery is charged with will not be generated from oil.